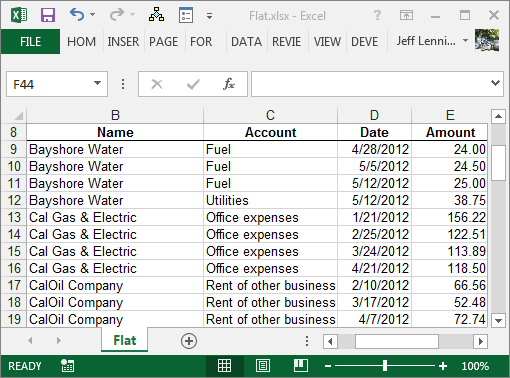 In this post, we’ll cover a handy technique for manually filling data labels down through an Excel range. This can also be referred to as repeating the labels, or, as flattening the data. Let’s get into it. Note: An alternative would be to use a Get & Transform query, as discussed in this post. You can see labels are not repeated, and there are cells with missing values. 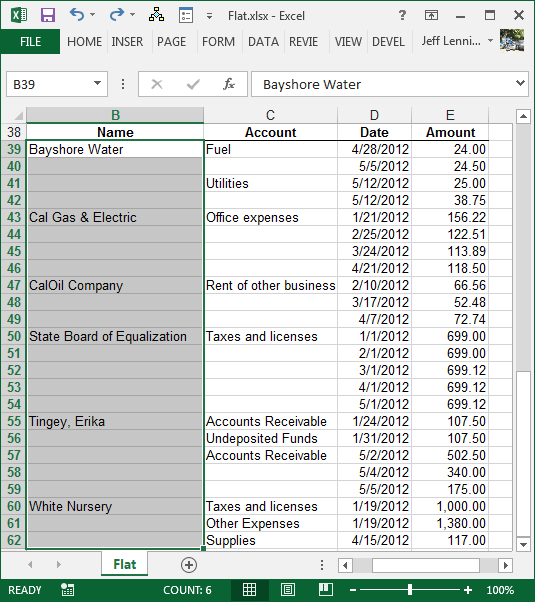 Thus, we must determine information about a record based on the position of the row within the table. For example, we know that row 39 is for Bayshore Water, but, we only know that row 40 is for Bayshore Water based on its position within the table. All cells within the table contain values. All information about a record is contained within the row, and is not derived by its position within the table. 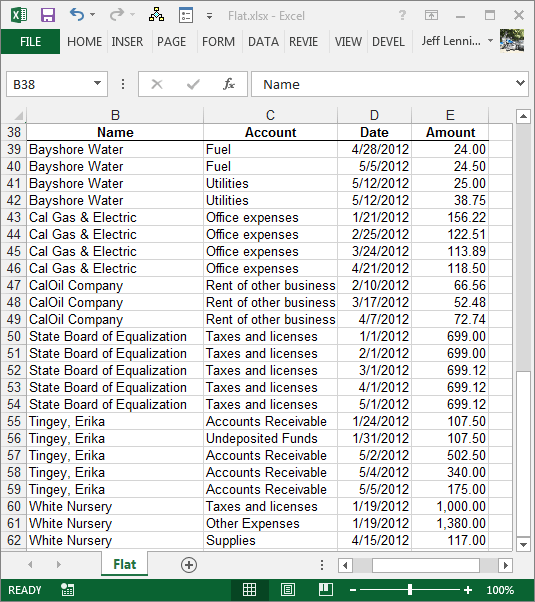 Sometimes we obtain data from an accounting system or from a client that is not flat. We want to use it with Excel, and really wish we could easily flatten it. 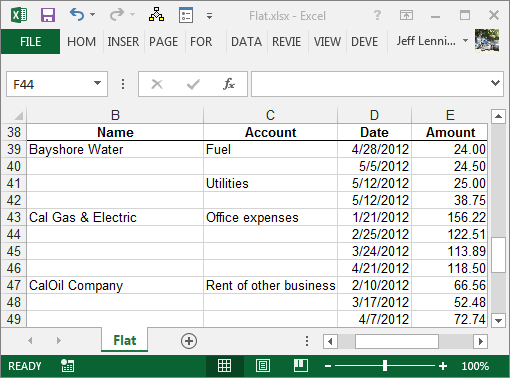 Since this is Excel, there are of course several ways to approach this task, but one of the easiest ways is by using a series of built-in commands. We’ll start with a summary, and then work through the details. Here, we’ll walk through each step, and … I brought screenshots! 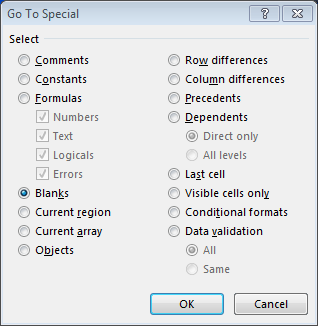 Now, we need to fill this formula down through all selected (blank) cells. This is done by holding down the Control key, and then pressing Enter immediately after writing the formula. If you have written the formula, and have already pressed Enter, then, you’ll need to write the formula again, and press Ctrl+Enter instead of Enter. 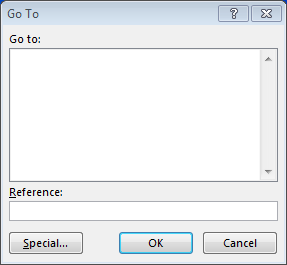 The Ctrl+Enter shortcut tells Excel to perform two tasks at once. Enter the formula, and, fill it down through all selected cells. Now, all that remains is to replace the formulas with their values. First, select the whole column. Excel doesn’t let us perform the next step with multiple ranges selected, so, we need to select a single column range. 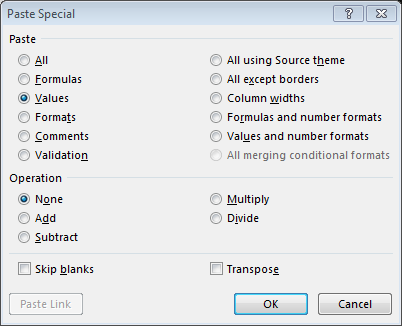 You can typically perform this task on multiple columns at the same time, but, it only works if the first row has values for all selected columns, so, just be sure to review and double-check your work. I first heard about this approach by John Walkenbach…thanks John! As with just about everything in Excel, there are many different ways to accomplish any given task. I would use the approach above if I needed to flatten data occasionally. However, if I needed to flatten data files often, then I would probably handle this task with a get & transform query. Hope this approach helps you flatten data files quickly!